As you know, cheese is probably my favourite food. I like all kinds of cheeses and I often eat them plain, with bread or crackers for lunch… but I also love to cook with them and make all sorts of savoury and sweet dishes. Today’s recipe is utterly delicious: I find it simply irresistible! 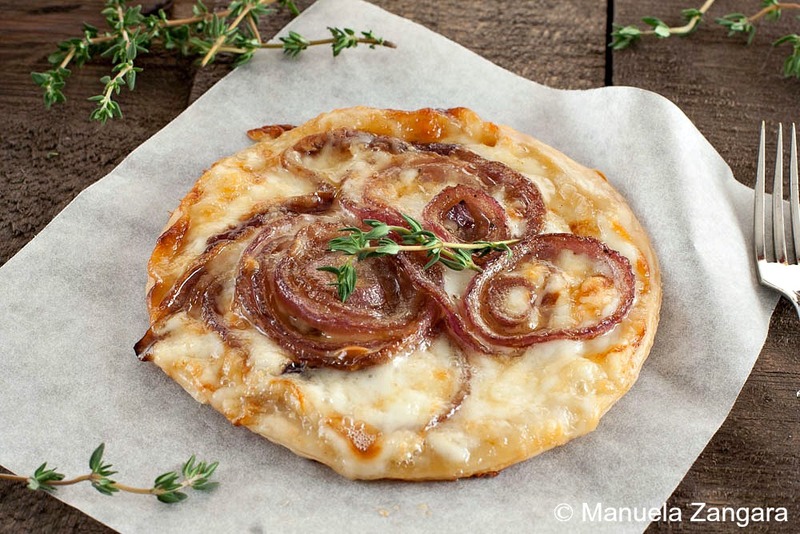 I think that Taleggio, a soft cow’s milk cheese from Northern Italy, goes amazingly well with the caramelised red onions! These pastries make for a very elegant appetiser, but they also double up as a simple yet satisfying lunch (just add a salad on the side)! Enjoy! 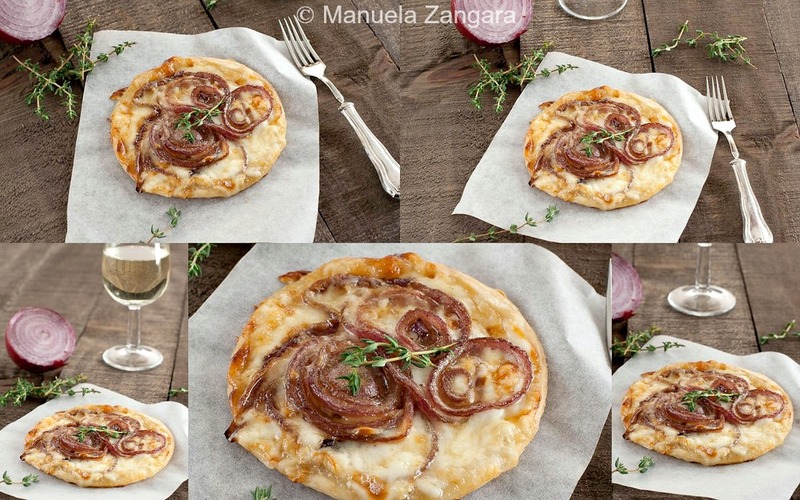 Scrumptious and elegant appetisers: Caramelised Red Onion and Taleggio Pastries! 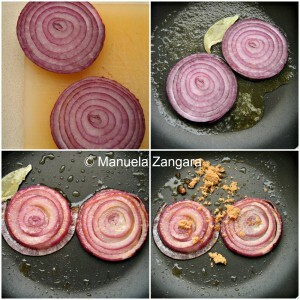 Slice the onion into 0.5 cm – 0.2 inch rings. Melt the butter in a pan, add the bay leaf and onion rings (be careful not to break them) and cook them, on low, for 5 minutes per side. Season with salt and pepper. Add the brown sugar, raise the flame and let the onions caramelise on both sides. Remove the bay leaf. Cut out 4 circles from the puff pastry and carve another smaller circle inside it, but do not cut through to the bottom (this will create the border of your pastry when it bakes). 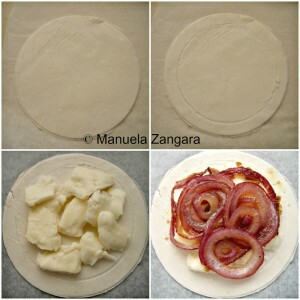 Put the chopped Taleggio inside the smaller circle and cover it with 2 or 3 onion slices per pastry. Bake in a pre heated oven at 200°C – 390°F for 20 minutes. Serve warm with some fresh thyme on the top. OMG, this looks divine! I have to try it! That for sure tastes lovely and … it’s looking good, too. I love these! 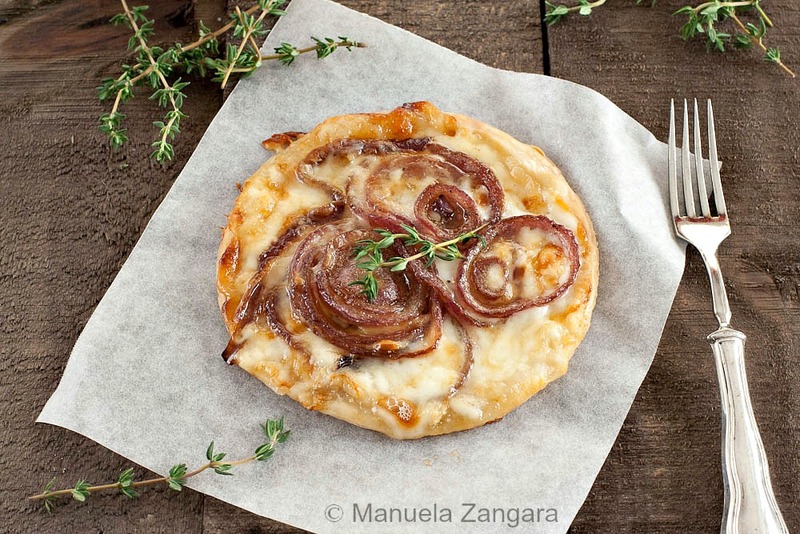 We are huge Taleggio fans and with caramelized onion it must be so fabulous! 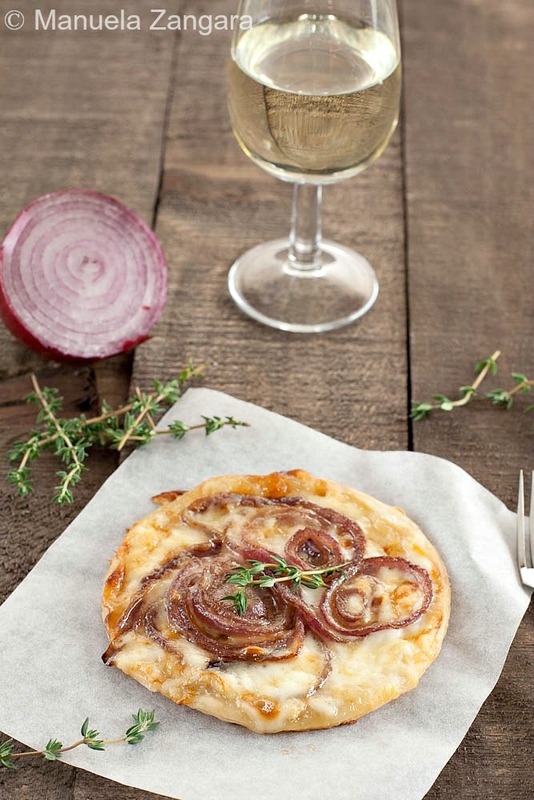 These really would make a lovely holiday aperativo with a glass of wine… or a great lunch. Perfect and so beautiful!